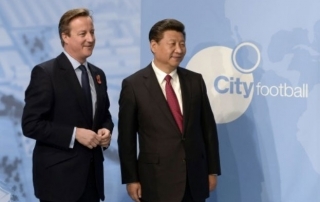 SOUTH CHINA MORNING POST – Last week I talked about Manchester City’s big plans for China; stage one was unveiled two days later, when they announced that China Media Capital and CITIC were buying 13 per cent of City’s parent company for US$400 million. 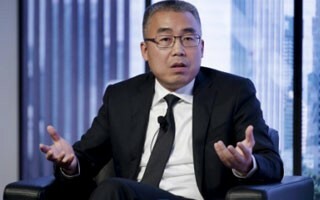 SOUTH CHINA MORNING POST – Last week I talked about Manchester City’s big plans for China; stage one was unveiled two days later, when they announced that China Media Capital and CITIC were buying 13 per cent of City’s parent company for US$400 million. 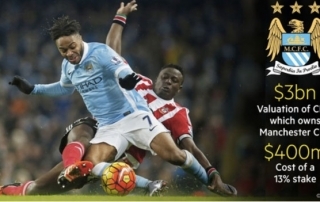 FINANCIAL TIMES – Chinese investors have made their first foray into English football, snapping up a 13 percent stake in the parent of Premier League leaders Manchester City just weeks after President Xi Jinping visited the club’s academy.